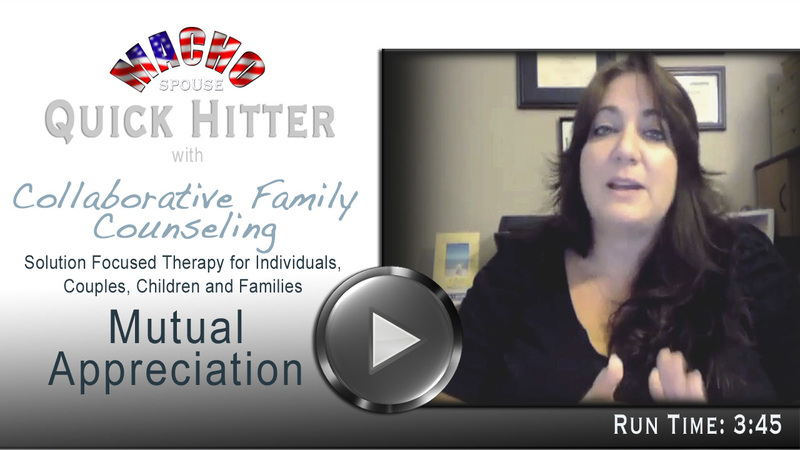 Macho Spouse Quick Hitter - Active Listening Skills from chris pape on Vimeo. Most of us can usually "hear" what our spouses are saying, but do we actually listen to the words and understand what is being communicated? Active listening skills are important tools to have for successful, happy relationships. In this new Macho Spouse "Quick Hitter," Elizabeth Cabibi, M.S.,LMFT (Licensed Marriage and Family Therapist) defines active listening and then demonstrates how to practice and administer some good techniques. Below is a Speaker Listener Technique used by many military marriage retreats. * speak for yourself, don't mind read. * Keep statements brief. Don't go on and on. * Stop to let the listener paraphrase. * Paraphrase what you hear. * Focus on the speaker's message. Don't Rebut. * The speaker has the floor. * Speaker keeps the floor while the listener paraphrases. My suggestion for practicing this in an exercise format would be choose a topic, preferably non inflammatory and positive focused, like ideas for a date night or next vacation. Utilize the rules of active listening and the technique above and plan something using empathy and understanding! Practice using different topics and experience how good listening can produce great results. 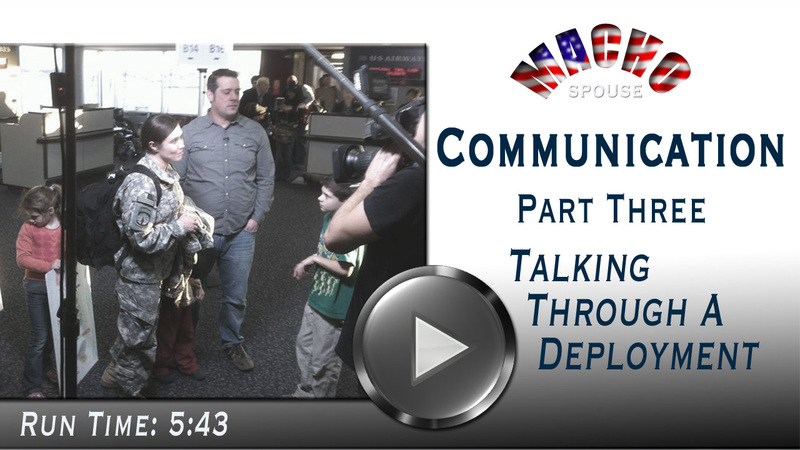 Examining the importance of communication within the military family BEFORE and DURING a deployment.